This run is from The Fox at Small Dole and this is the usual route of about 5 miles. Hopefully we’ll see some bluebells in Tottington Woods. 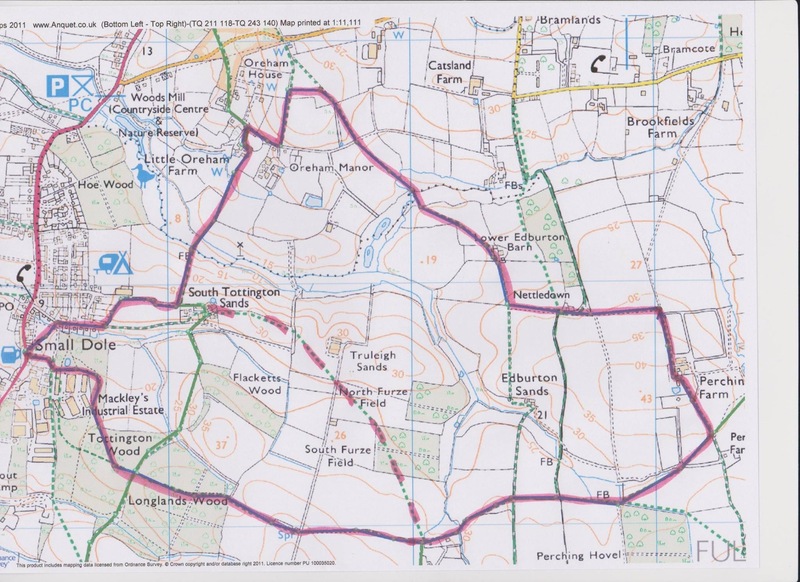 Anyone wanting a shorter run of under 3 miles can cut back along the dotted line without missing the bluebells.